Released last December, Ogon Musokyoku started out as a fan-made versus fighting game that's a spin-off of a mystery visual novel. This fall, it's now being ported to the Xbox 360! Ogon Musokyoku was created by 07th Expansion, best known for another murder mystery visual novel it also created, Higurashi When They Cry. Check out those special attacks! 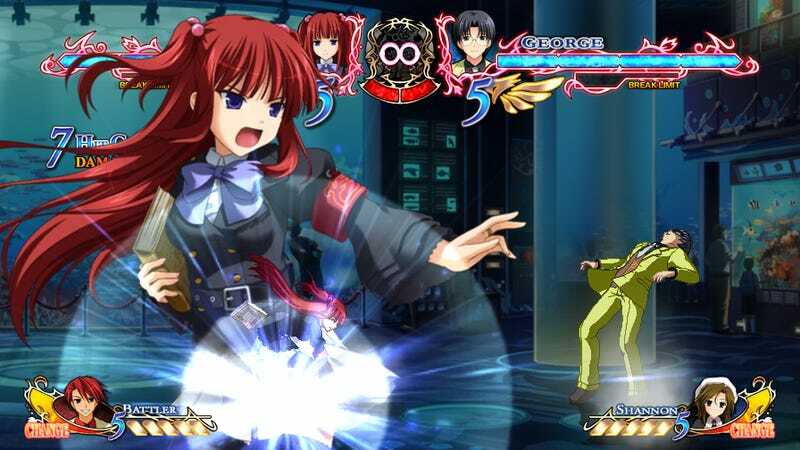 Ogon Musokyoku X, the Xbox 360 port for Japan, is being developed by Tokyo-based studio, Alchemist.